It has been a wet few days but it looks like it’s supposed to dry up in the near future. We are into our fall season of salmon and sturgeon. Sturgeon fishing has been solid over the past couple of months and it will only get better! Salmon fishing has been a little tougher recently as the rains likely encouraged the salmon to run up river. However it shouldn’t take long to see another push of fish off of the Fraser and in local waters. We have a great summer sturgeon fishery and to think it only gets better in the fall. 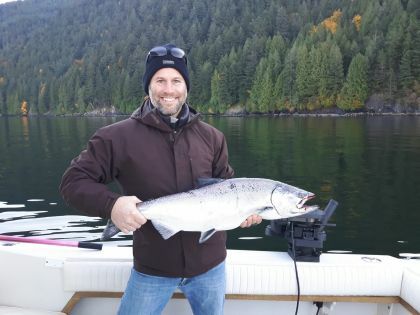 With the salmon run upon us, these fish are actively feeding and packing on the pounds for the upcoming winter. Most of our trips are departing from either mission or at the Port Mann boat launch which is only 35 minutes from downtown Vancouver. The average fish is in the 4-6 foot class however on any given day you can hook into a 9+ footer. Now is the time of year that salmon parts and roe really shine, don’t be afraid to use big heads, bellies, etc. Sturgeon fishing will remain solid until things start to cool down into November. Give us a call to get you on the water. Overall salmon fishing has been good but the past couple of days have been tougher. The rains likely encouraged some fish to head up river bound for there “home” flows. We should see another push of fish any day now. 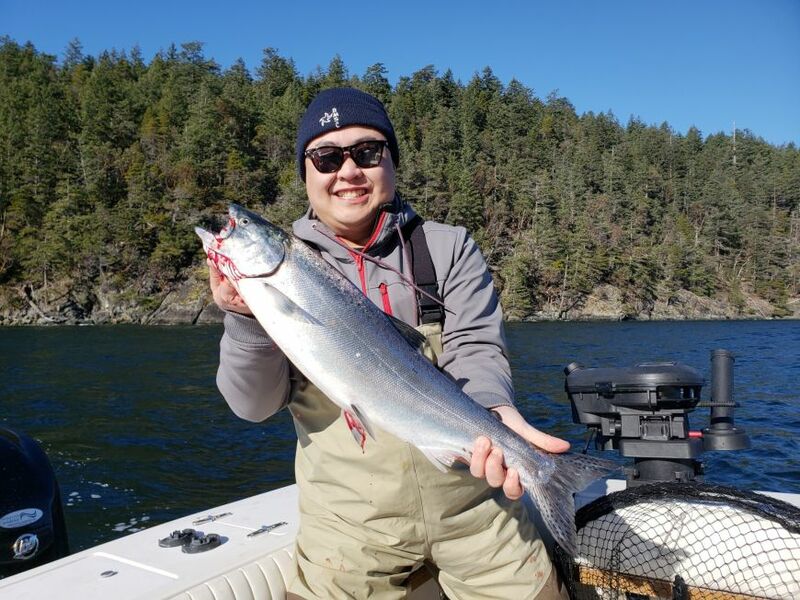 We have seen some encouraging numbers of coho off of the Fraser mouth that are bigger than usually with fish up to 12 pounds. We are expecting a good coho run that could continue into later October. This time of year these fish are very aggressive and are swimming high in the water column, often between 30-80 feet. Our most productive baits are anchovies, herring and hootchies. 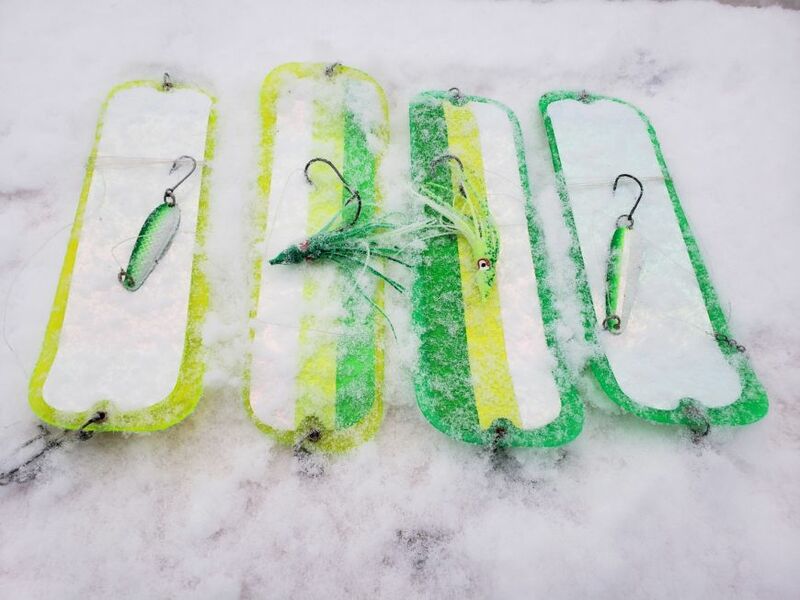 We have been have lots of success with the Gibbs Delta Guide Series Flashers(T-10, Bon Chovy & Lemon Lime). Come down to our office to get the most up to date reports and gear for the fall salmon fishery. It looks like the worst is behind us and the water is shaping up nicely. Conditions are improving and we are looking forward to a killer season. With the appearance from a monster sturgeon this past week everyone’s looking to get out and try their hand. With big fish being caught and an increase in numbers it looks like it will be another long and productive sturgeon season. We were out on the weekend and the fishing is picking up. We had most of our success on roe and lamprey with a few bites on eulachons. As always we are timing our trips with the tides and continuing to have success. 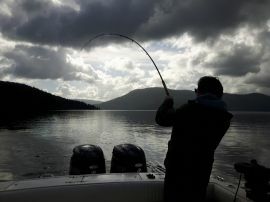 With our boat located only 25 minutes from downtown, it has never been more convenient to get out and try this fishery. 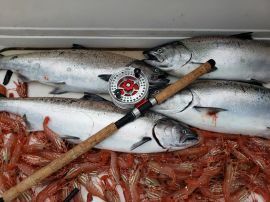 The salmon fishing in the gulf islands remains good as we expect it to. On the slower days it is very important to be patient and to fish the appropriate spots on the flood and ebb. We are running strictly Delta Gibbs Guide Series Flashers (Bon Chovy, STS, Lemon Line, Madi, and No Banana’s) with Hootchies, spoons and bait. 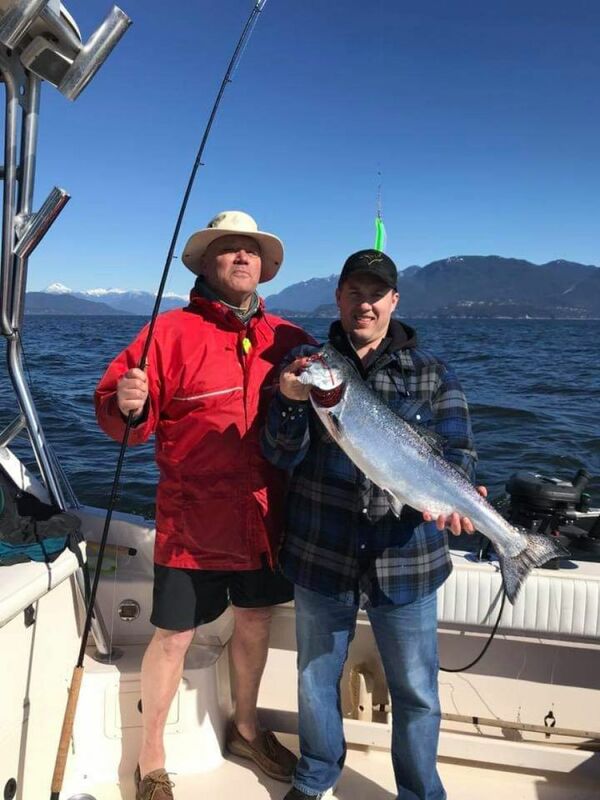 Fishing Locally around Vancouver is slowly starting to pick up with a couple of chinooks being caught. As we get closer to the end of the month we should start to see more fish moving in. The Pit River has been fishing quite well this past week. The water is low right now however the fish are on the move and feeding. With some snow still on the peaks, the fishing should remain good for the rest of the month. Time to dust off the fly gear and get back onto the river. Sturgeon fishing is still going strong with reports of decent numbers and good fish. Even though we are into the freshet we should see the fishing remain decent for the next few weeks. After that you can expect good, consistent sturgeon fishing throughout the summer months. We are timing our outings with the incoming tides and it is still producing fish for us. With the water being so high and dirty, we are dousing our baits in all kinds of scent and throw in just about anything that stinks. It’s a great time of year to get out and get your hands smelly, a 6 hour sturgeon charter is just what the doctor ordered. 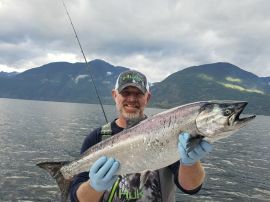 The Gulf Islands is still producing great fishing days. Last week we saw a couple slower days because of the strong currents. If you can find some calmer water then your chances of getting into fish are increased. With the dirtier water from the Fraser River, we are finding yamashita glow hootchies behind Gibbs Delta Guide Series Flashers are a great duo. 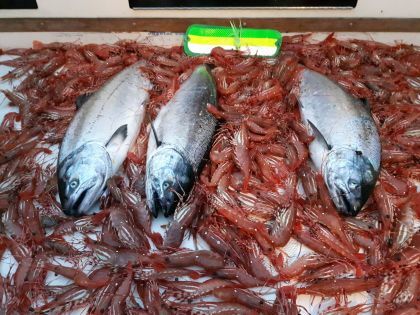 Fishing locally around Vancouver is a bit of hit and miss right now. We are getting 2-5 hook ups in a half day charter. We are patiently waiting for the rivers to come back into shape. This normally happens around end of June or July. Look at this sunshine! We’re fired up over here at VSFC for the sturgeon season. As temperatures rise and the fish starting to get more active it’s time to get out there. Whether you’ve been many times, or thinking about heading out for the first time sturgeon fishing is not only a great time, but something every angler needs to experience. Whether you’re a group of guys/gals out for a fun day, or for a family excursion, it’s always amazing to have an encounter with these amazing fish. 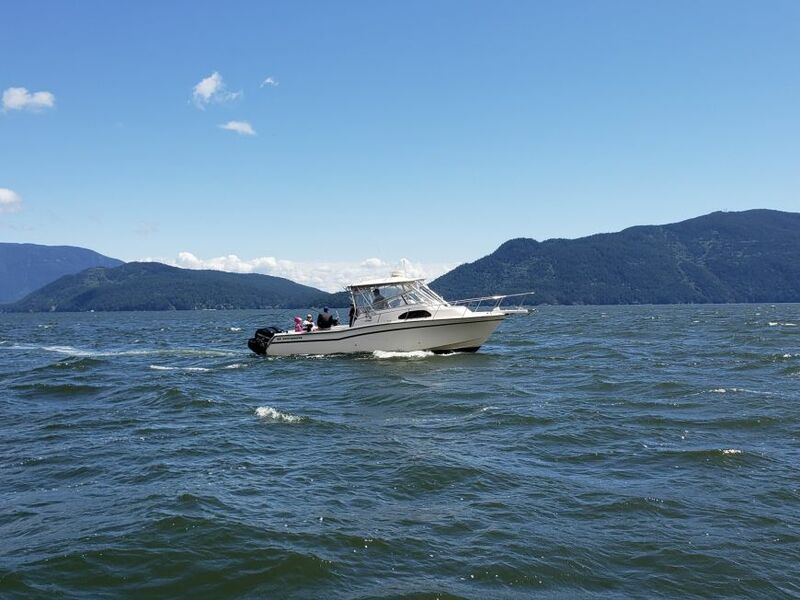 Join us on our perfectly appointed 22′ Thunder Jet and cruise the lower Fraser River in search of North America’s largest freshwater fish. 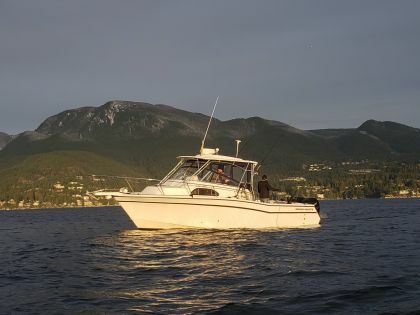 Our boat departs only 15-20 minutes from downtown Vancouver! We do half day full day and multi-day trips that include accommodation. The next 6-8 weeks will offer some excellent fishing before the river rises due to the spring freshet. Now is the time. 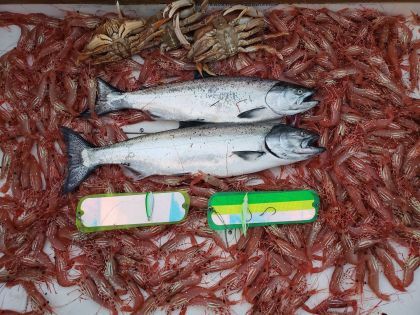 The Vancouver Harbour fishery has been up and down but for the most part it’s been slower than normal with the odd legal fish being taken. As usual the Gibbs Lemon Lime flasher with either an Irish Cream and coho killer have been the “go to”. There has been an increase amount of bait showing up in the harbour the last week or so. This could indicate a vast improvement in fishing close to home in the near future. Pretty soon we should start seeing some more quality fish off the mile markers and bell buoy. 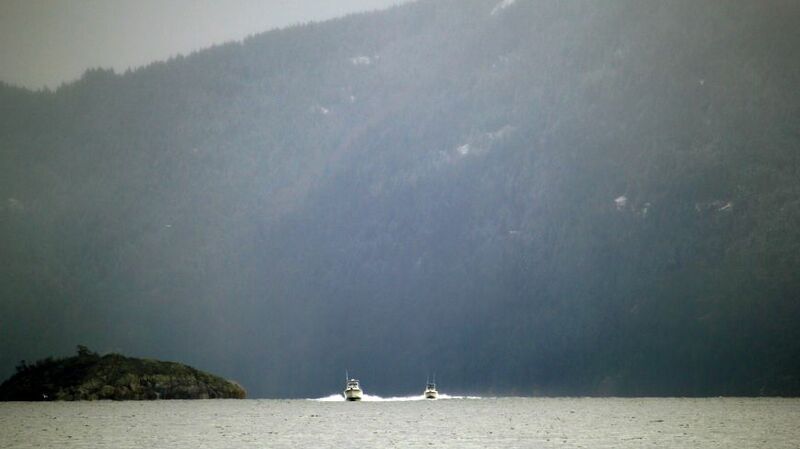 Then the south Bowen fishery kicks off and we’re a go mission from then on… Good things to come locally for sure. We’re excited. Definitely the best bang for you buck has been the 8 hour trips to Howe Sound. Prawning has been decent and the fishing has been pretty solid. Some days you have to work a little harder for them and some days it’s very good. Either way that’s where they are feeding on herring and shiners, so that’s where we want to be. Third marker and Grace Islands have both been producing fairly consistently. 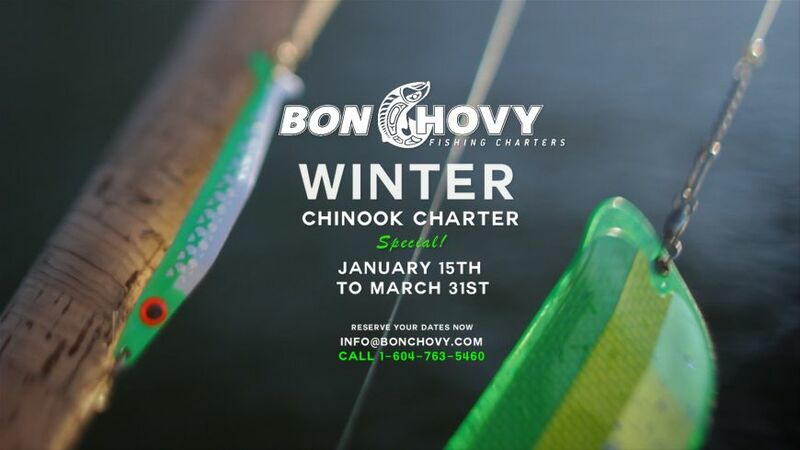 We’ve been pulling Gibbs Guide series flashers both the Lemon lime and Bonchovy flasher have been the standard with the New G Force Bonchovy spoon and green/glo coho killer. The season is kicking off on the sturgeon grounds. The next couple months should great sturgeon fishing in the lower river. Conditions are great and we’re ready to go. From now until the spring freshet we’ll be dinosaur hunting. If you haven’t experienced sturgeon fishing it’s a must do. As always, this time of year sees our annual steelhead run. There’s been some fish around for a couple weeks, but as always with steelhead fishing you have to work for them. Cover water and put the odds in your favour….. and you never know you may find the elusive March chum salmon. Trout fishing has been ok. There’s a good amount of fry in the river now and this will bring some trout into the usual haunts. Cutthroat, bull trout and rainbows have been caught recently – mainly bulls and they have been healthy. 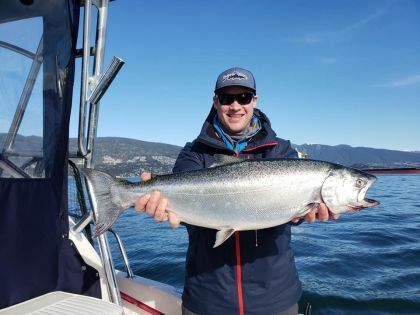 Upper Squamish is a good bet as well as the Mamquam. With the rain in the forecast we’re hoping, as always, for a fresh push of fish. Please remember proper fish handling and be safe. Regulars in our area lately have been elk, wolves and cougars… and bears inevitably on their way, so keep an eye out and be safe and respectful. Lots of bright points in the last couple weeks and we have a great stretch ahead. Looking forward to it. Give us a shout, or come on by the shop on Granville Island for more information… or if you’re looking for your local Gibbs/Delta gear.